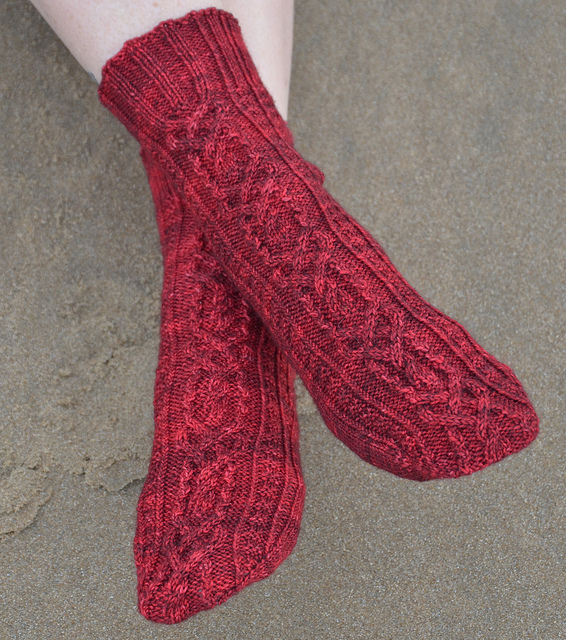 Happily optimistic, I joined the Sock It To Me 2015 sock group on Ravelry. 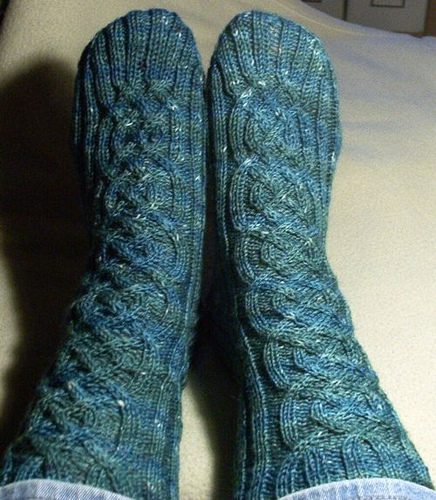 Ok, so I didn’t get a sock finished for January. Can I blame it on the fact I joined on Feb 1? Well…… I did look at the group at the beginning of January, I just didn’t jump in. The club is based on a theme monthly gemstones or flowers. I totally love it! Those of you older folks, remember running to the Hallmark store as kids to pick up the free, purse-sized, yearly, calendar-book? The best part was that for each month the gemstone and flower was given. I always thought that the gemstone and flower for my birth month, November, was yucky. Once I found blue topaz I like it! February is lucky, it’s the best! All of this rambling leads me to these thoughts? What to knit? Did you know that the word “amethyst” is derived from an ancient Greek word loosely meaning “against intoxication”? They believe that wearing an amethyst would prevent intoxication. 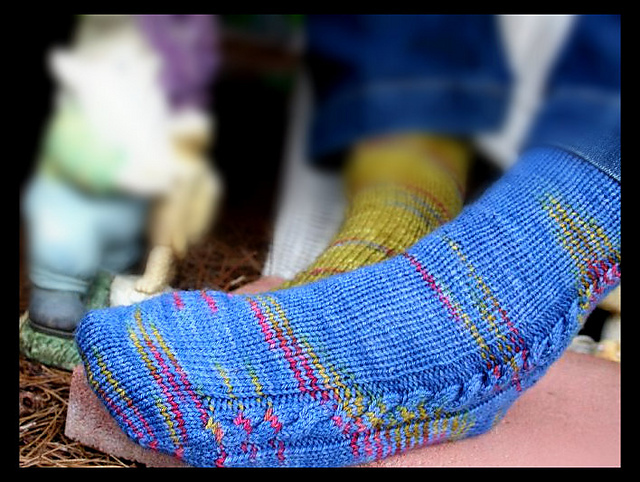 Along this line of thought I could knit sock with straight lines symbolizing sobriety, or cables with straight lines indicating the overcoming of intoxication, or……. Then there is the Sweet Violet with it’s heart shaped leaves. I love hearts and socks with hearts on them in purple, my fav color, what’s not to love? Perhaps a sock combining hearts, for the violet, and lines, for the amethyst, is the best choice. 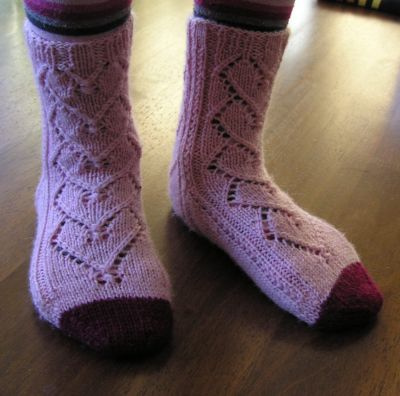 Which ever pattern I pick, the socks will be knit in a purple color. Thanks for stopping by. Have a crafty day! 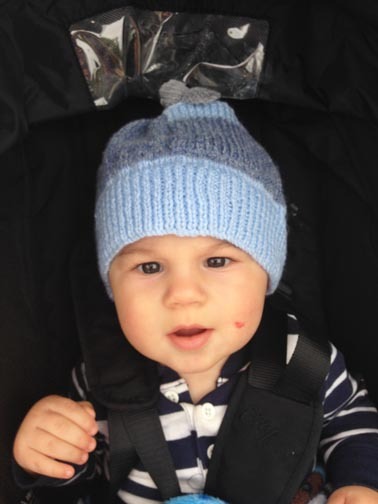 On our farewell visit to Hawaii last November, the youngest LL decided that the QR hat I made for Mason, his brother, belonged to him. Solution: make a hat for LL. My daughter said it had to be the same size as Mason’s hat, his little three-year old head loved the ten-year old hat size. 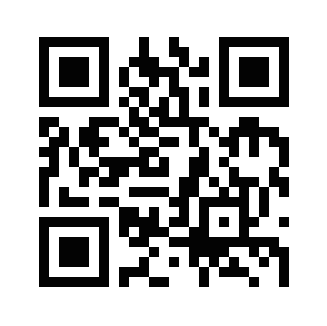 Luckily, I blogged about Mason in QR Code on Oct 12, 2012 and had included the pattern on the tutorial. One drawback, they lived on the windward side of Oahu and the only “cheap” source of yarn and needles was at Ben Franklin. Unfortunately, the selection of acrylics was negligible, so I had to settle for Red Heart. A three year old’s hat must be easily cleaned. Since all of my good needles were back home and I certainly did not need more DPNs I bought a set of Boyle. The DPNs were too short for all of the stitches which needed to be on each needle. I found this out after the stitches kept falling off. My solution? I used some of my granddaughter’s hair bands to hold the stitches on the needles. I would knit a side, put the hair band on, take the hair band off of the next side, etc. It took longer this way, but after learning the hard way that the stitches would fall off, this was a perfect solution. Also notice, for those of us with arthritis who have a harder time moving stitch markers I like to use a charm clipped to the start side so I know when I’m back at the beginning. 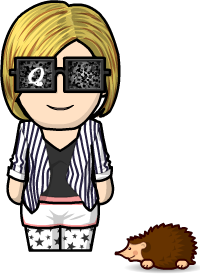 I found a free QR code generator online and after graphing the QR code for LL’s name I began knitting. Very quick knit. Of course, as a typical 3 year old, LL was not about to put the hat on properly. He liked it sticking up on his head with his ears showing. Loves the hat. 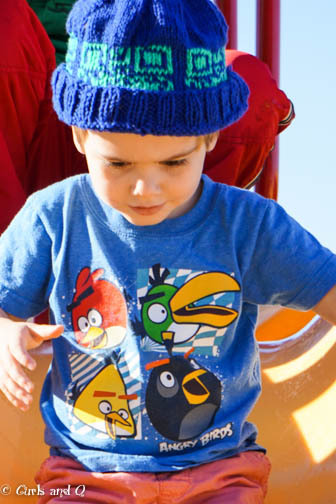 It was 80 degrees yesterday at the park, but he did not want to take the hat off after the “photo session”. The Lolo Shawl is finished. Now to send it off to sister Lindsay. It was a fun, quick knit. Both the pattern and the yarn are from Raven Ridge Fiber Arts which I purchased at Joseph’s Coat yarn shop in Missoula, Montana. Sister Lindsay picked out both the pattern and the yarn. Try a new craft today and have fun! I’m really enjoying this book by Andrea Jurgrau. 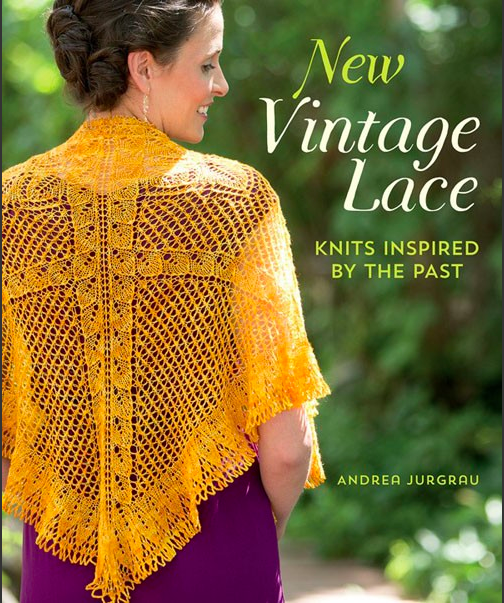 The lace shawl pattern in this book are all repurposed vintage doily designs. 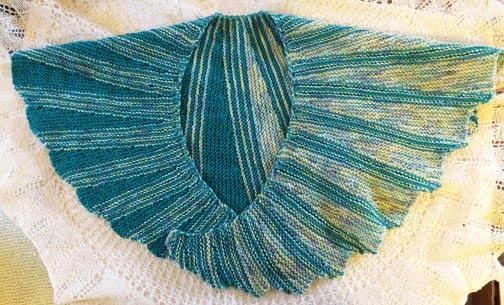 The author has taken old doily patterns and rewritten them into shawls and other accessories. 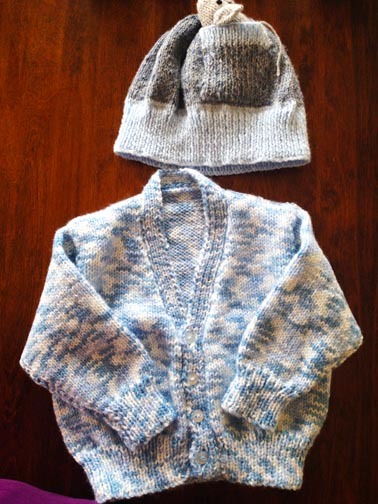 Click on this link to Ravelry to see all of the patterns in the book. Quite delightful. And, not to sounds as if I’m a walking ad today, I signed up for Amazon Kindle Unlimited’s free month. I found this book and many other knitting books which I’ve been busily reading and perusing for the trial period. Tina, there are also Zentangle books. Of course, I’ve been madly reading the cozy mystery series by G. A. McKevett – starting with Just Desserts. When showing up to watch our precious grandson, Little Man (LM), on Friday, he was so excited to show off the surprise presents which he’d received from his great-grandma Joycie and Mary, her best friend since they were 16. He’s wearing the adorable hat-with-a-mouse-in-the-pocket made by Mary. Some of you long time followers might remember the stunning, hand-knit, table cloth Joycie gave to me. 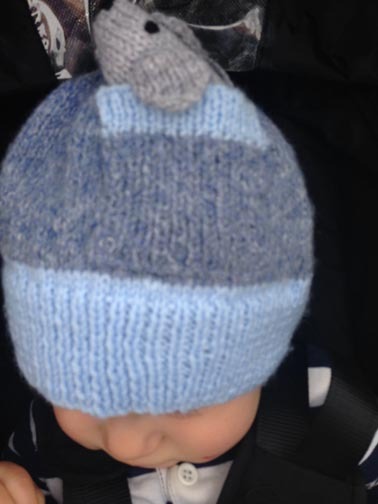 Little Man was excited that the hat matched the new sweater (or jumper as Joycie says) so perfectly. The day was a bit too warm to wear the jumper out on our walk. Joyice had mama measure LM and email the results to her, so the sweater has been knit in England to fit LM in California. Hurray! He thinks the tail on the mouse is hysterical! Can you see it? In addition to the clothes, Mary made some wonderful “chew” toys. LM’s mom, my daughter, adores Elephants so it was wonderful to see two “chew” elephants. Nate was not happy that he couldn’t have the toys before pictures were taken! Elephant noses are the perfect size to chew. 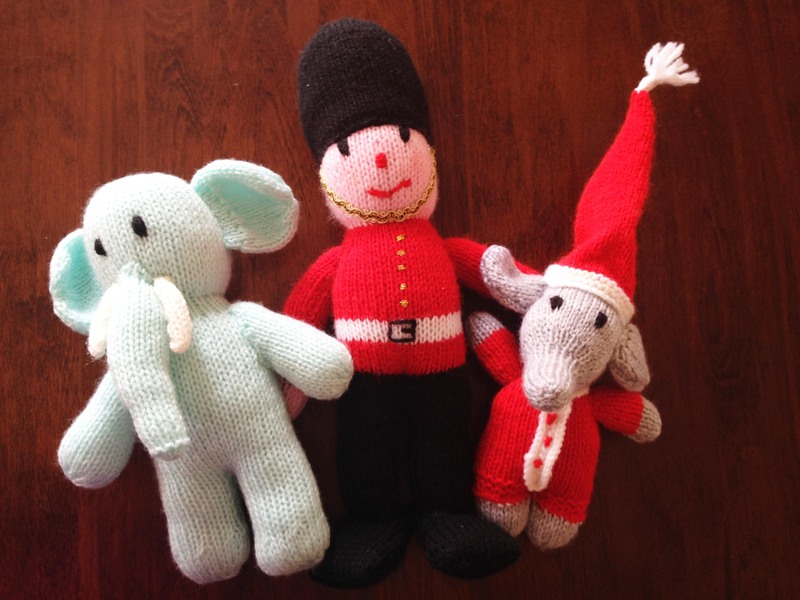 Mary makes a much larger, knit soldier, about 36″ tall, which she donates every year to a local charity’s auction. 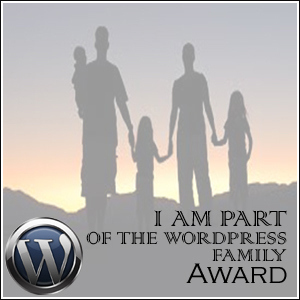 On a different note, I cancelled the domain curlsandq.com, however, I kept curlsandq.wordpress.com. 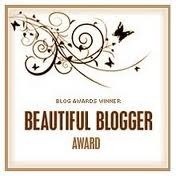 I’m wondering how many people are actually getting my post now since I haven’t been seeing any traffic? Please let me know if this post came through. I just didn’t feel as if I needed to pay the $26/year. ~Ah, FO Friday and The Ribbit Hat is off the needles and on my son’s head. 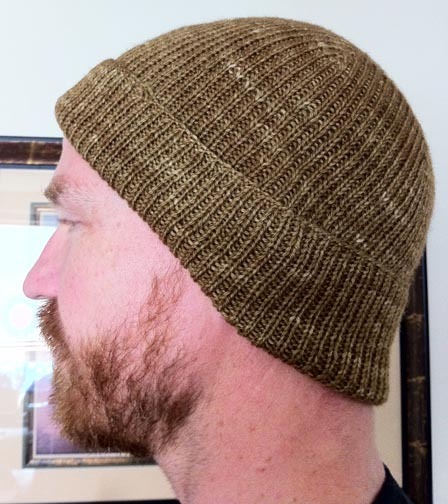 The yarn was Knitpick’s Bare fingerling which was dyed to my son’s color specifications. When I saw the finished yarn hanging to dry and while winding it, I HATED the color. Not wanting a solid color, I twisted the yarn and put into the dye pot dry. When I started knitting with it, I loved the yarn AND the color. Go figure. As it’s knitted, the color looks so rich. 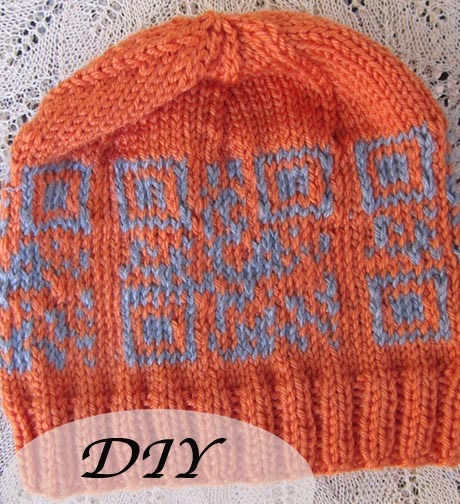 The pattern is Perfect Reversible Watch Cap by Nancy Elizabeth Designs. Super simple, just remember it’s k1, p1 around, not k around. Sigh….. I’m not a member of The House of Manatee and this got a bit boring, but the double decrease made this The House of Monkey member happy since I’d never used this method before. Double Decrease: (slip next 2 stitches together knitwise, knit the third stitch, pass the 2 slipped stitches over). Ta Da, let me present The Ribbit hat! 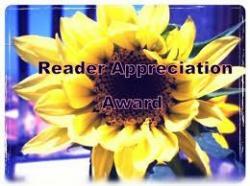 For other wonderful FO visit Tami’s Amis blog. And, Ginny’s Yarn Along. 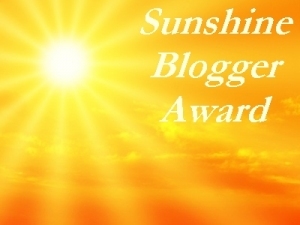 – I love all of the bloggers I follow. When I’m not feeling well, they cheer me up. When I already have WAY too many WIP’s, I can count on them to post simply wonderful new patterns which I cannot resist. 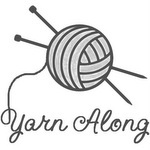 My hands start itching when they share the latest yarn or fiber that they are using. Neither Curls nor I are eloquent writers, as a scientist I’m great at scientific writing: short, concise and to-the-point. 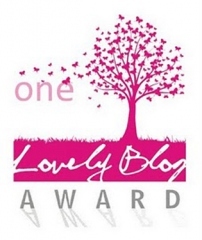 There are times when I read a blog and the writer pinpoints exactly what I want to say. I’ve blogged about my overload of WIPs in the past and even listed SOME on the blog. I’ve admitted that I have KADD (Knitter’s Attention Deficit Disorder). Curl’s called it QADD (Q’s Attention Deficit Disorder). On March 15, Anastasia owner of For The Knit Of It blogged: What Knitting is to Me and Too Many WIPs! This is me! That’s right. I’m admitting it. I have way too many WIPs going on. I think I’ve firmly established myself as a Process Knitter. For those of you who don’t know what that is (no secret, I’m a Knit Picks podcast-aholic), it’s process vs product knitter. 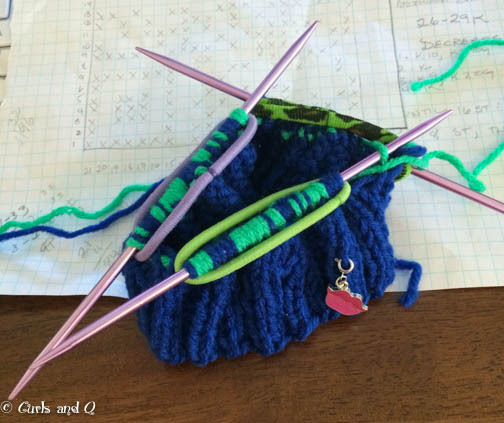 The process knitter loves the making of projects. Product knitters knit for the end result, the beautiful knit. Neither one is better than the other! It’s just a personality thing. That explains why I need to have so many projects. I seldom wear the things I make. More often, I find someone to give them to. Yet, I love casting on new projects. I love having so much going on. Each project fits my mood. Some are for other people so have deadlines. Some I cast-on something just to work on in a movie theater or in the car. Some I start because I just because. I love it! And I love that moment when I step back and see what I’ve made. As I knit, all I see are stitches. I don’t see a sweater or mittens or socks or a cowl. I see one stitch at a time. Curl’s is a product knitter. I admit it, I’ve never finished a sweater. Gasp! I get bored; been there, done that, now on to the next project. So thanks Anastasia! Now I don’t need to feel so darn guilty about all of my WIP’s. 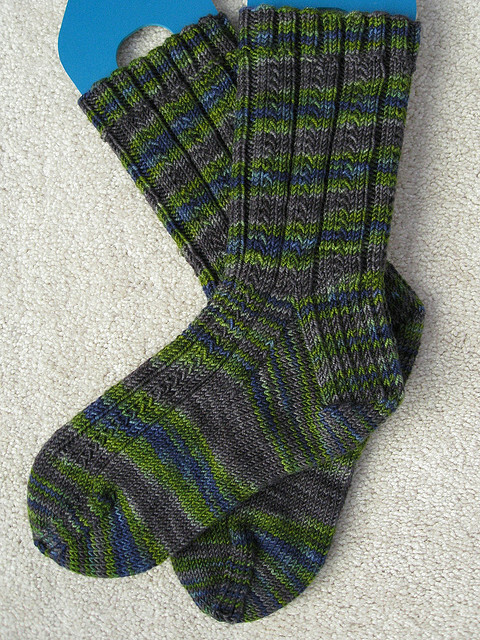 a pair and 1/2 of socks – I really HATE the feel, texture, yarn on Feb’s Sock-It-To-Me sock and have just finished one. 3/4 of a girl’s vest – really am close to being done, but after visiting my granddaughter I’m not sure she would wear it. So, now it’s in limbo.